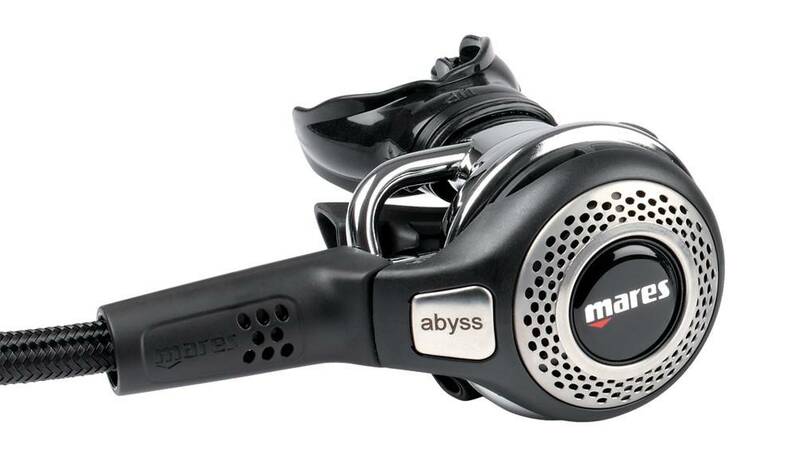 The Mares Abyss 52X regulator is a favourite here at Dive Academy with several of the instructors and team members using this as their main regulator and for a limited time only it is available with the Abyss Octopus for only £299 - saving over £240 on RRP. The Abyss 52X combines the high performing, compact 52X balanced diaphragm first stage and the Abyss second stage. 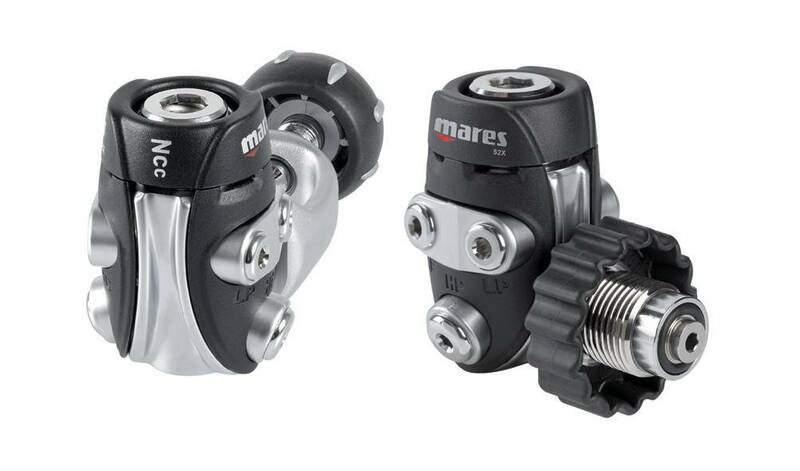 The Mares 52X is a compact balanced diaphragm first stage which uses Dynamic Flow Control (DFC) technology to minimise intermediate pressure drop and optimise flow to the second stages. The first stage directs and optimises air flow within the body to provide a seamless delivery and natural, comfortable breathe. The body also features a Natural Convection Channel (NCC) that continuously draws water through a channel on the outside of the first stage, acting like a heat exchanger to dissipate the cold created by the first stage into the surrounding water. The 52X is fitted with four low pressure and two high pressure ports. The Abyss second stage is a tried and tested second stage that offers excellent cold water performance and smooth breathing. The Abyss uses a metal housing for improved cold water performance thanks to the greater thermal characteristics of metal over plastic. The Abyss uses a bypass tube and Mare's Vortex Assisted Design (VAD) that delivers air flow directly to the mouthpiece. This is a great regulator for use in the colder UK waters. 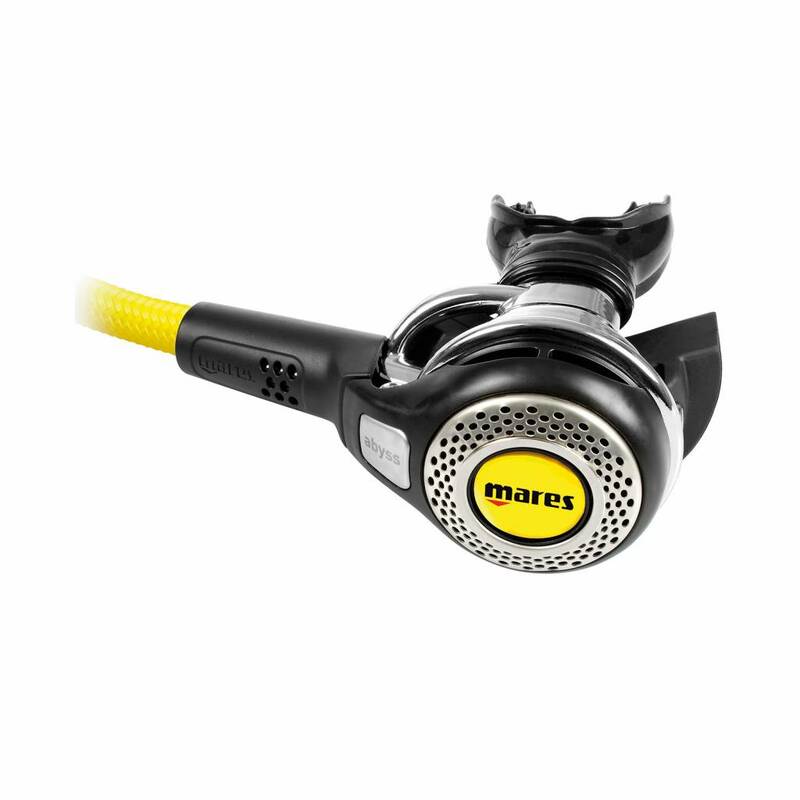 The Mares Abyss 52X is fitted with a lightweight braided hose that is much more flexible than a traditional hose as well as offering a higher burst pressure for safety and increased UV protection. The octopus has a mesh grid design on the front cover which reduces the impact of water intake on the diaphragm, minimising the risk of free flowing. The flexible braided hose is lightweight and damage resistant making it more reliable than a rubber hose.